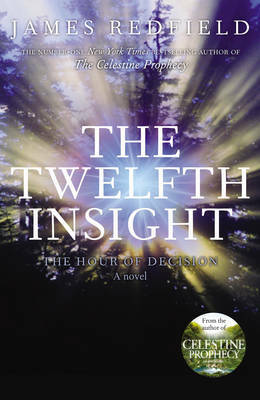 The Twelfth Insight is the fourth book in the hugely successful Celestine series. It is an adventure tale that is both suspenseful and contemplative, and builds on the insights introduced in Redfield's previous books. It describes a new wave of tolerance and integrity that is emerging in reaction to years of conflict, warfare and political corruption. With unsurpassed insight, James Redfield continues the astounding spiritual journey that is the Celestine series. Through deep intuition of the world within and without he moves the series into the future, showing us that 2012 is not about the end of the world - but about the unifying life of everyday miracles. In this book, the familiar character of Wil returns along with our narrator, 'The Hero'. Wil has found a fragment of a mysterious ancient document, which seems to be the first part of a guide to spiritual experience.Each step of the guide offers an expanded clarity about the larger picture of human life and purpose. But Wil and our Hero have only one part of the old document, and must systematically find the remaining parts.A global search has been unleashed to find the message and meaning of the document in its entirety. Having red the rest of the series starting with the Celestine Prophecy, this one was a terrible disappointment for me to read.